I knew this lipstick would be a staple in my collection the very first time I applied it. 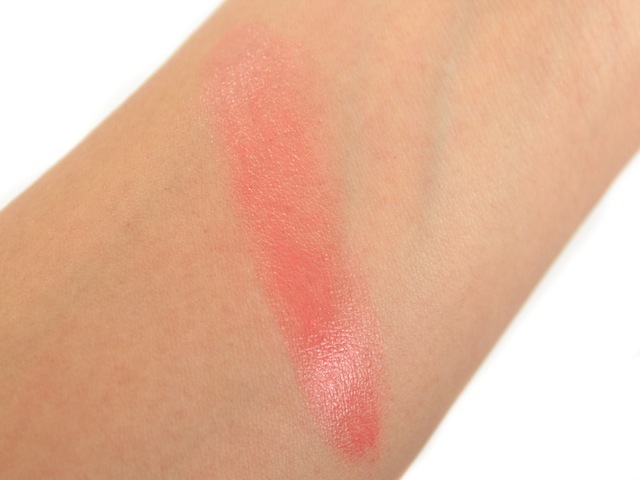 It was incredibly hydrating on the lips, so comfortable to wear, and a gorgeous sheer coral shade. I easily went through my first tube. Now, that's the true test of love vs lust. It all comes down to one simple question: to repurchase or not to repurchase? It was a no-brainer for me. Yes! Obviously. 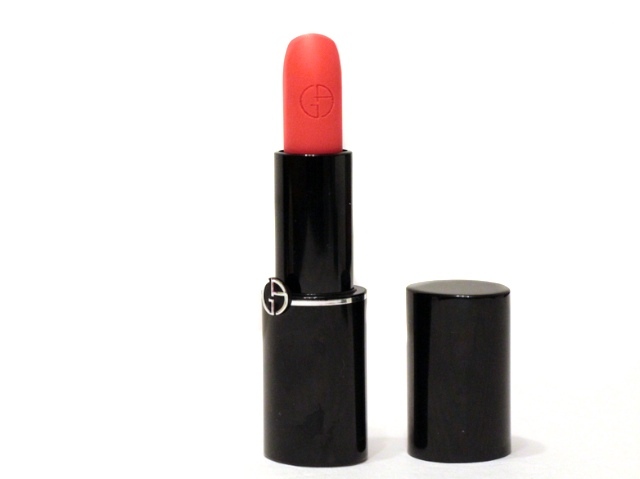 I've probably raved about this lipstick many, many times. Don't get me wrong, this isn't for everyone. It's not going to be everyone's favourite, not in colour and not in consistency... But I love it, nonetheless. 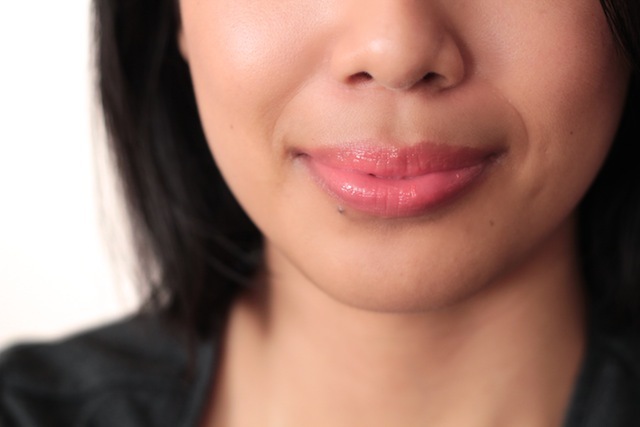 Here's what I love: the ease of application (one hand and no mirror? 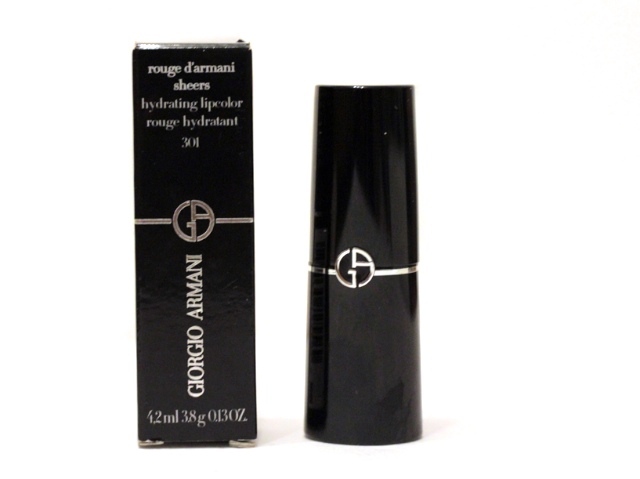 Yes, please), the moisturizing factor (it feels like a balm), the shade (I can't say no to coral), and the packaging (sleek black magnetic tube). Here's what you may not love: colour pay off isn't great (it's a sheer lipstick, so you get sheer colour), it won't last all day (2-3 hours barring meals and coffee breaks -- but your lips won't feel dry), and price (while not the most expensive, it could be valued as dinner for one at a moderately priced restaurant). I would definitely recommend #301 if you're looking for sheer colour and lots of moisture. A general note about this lipstick range: they're fantastic. There's a good variety of shades and, of course, they vary in pigmentation. 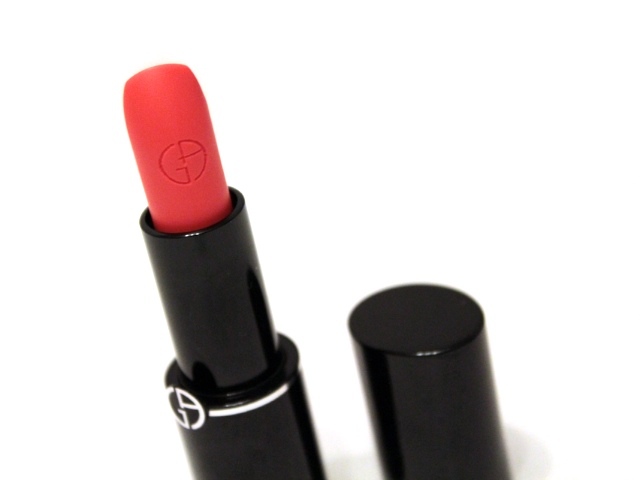 I find the brighter shades offer more colour payoff and they're more likely to leave a slight stain on the lips. In other words, you get a bit more bang for your buck with shades like #500 (see review here & how it looks on here). awesome color! and i totally get what you mean when you say you love it but its not for everyone. sometimes i don't want super pigmented color that will last all day (as awesome as that sounds) i just want something that i like, without really having to explain why i like it, even if it doesn't wear very long or isn't very pigmented. Been wanting to try this colour. Thanks for the review!